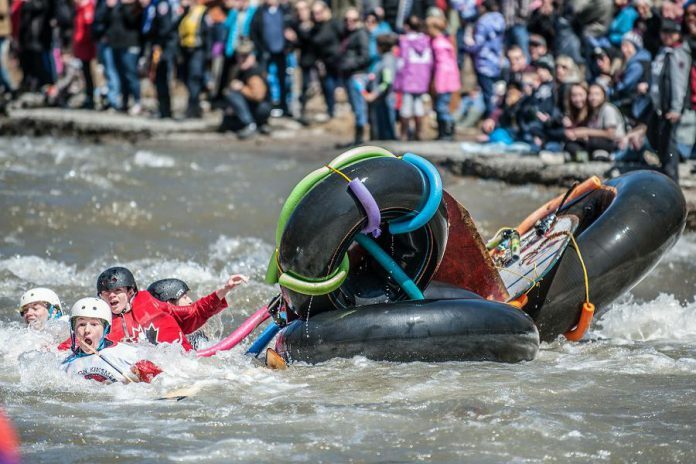 Every year for the past four decades, Port Hope has welcomed spring by hosting “Float Your Fanny Down the Ganny”, a weird and wacky race down the Ganaraska River. “We’ve seen this event grow year over year and we are thrilled to be able to bring together the community and visitors from all over the province to participate in this exceptional experience,” says Port Hope Mayor Bob Sanderson. 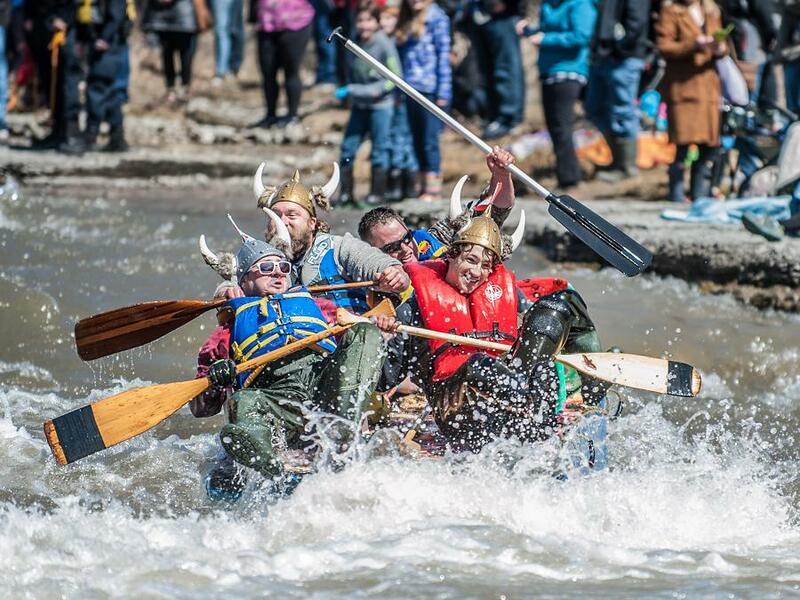 During the annual spring event (scheduled to start at 10 a.m. on Saturday, April 13th), attendees can enjoy activities, food, music, and, of course, the entertaining Cannonball Run-esque race itself. While the race is a fun celebration of spring, it marks a catastrophic event in Port Hope’s past. 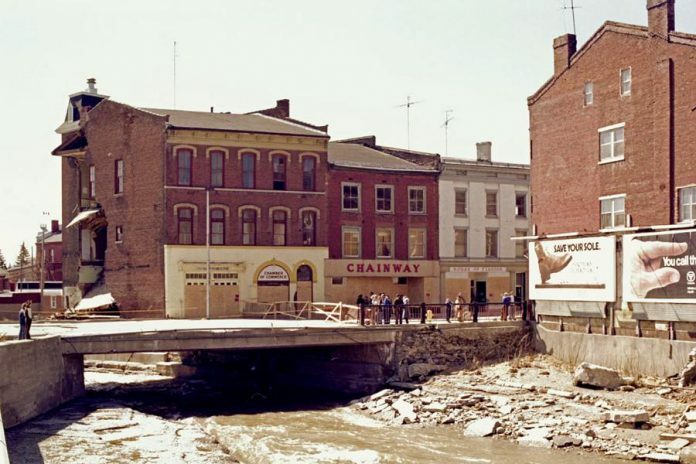 On March 21, 1980, a torrential downpour of rain combined with blocked storm drains and sewers caused the banks of the Ganaraska to spill over into the town of Port Hope. Every bridge on the river was washed out, as well as the board sidewalk and part of Walton Street, damaging buildings, and a child was recorded as having been drowned. 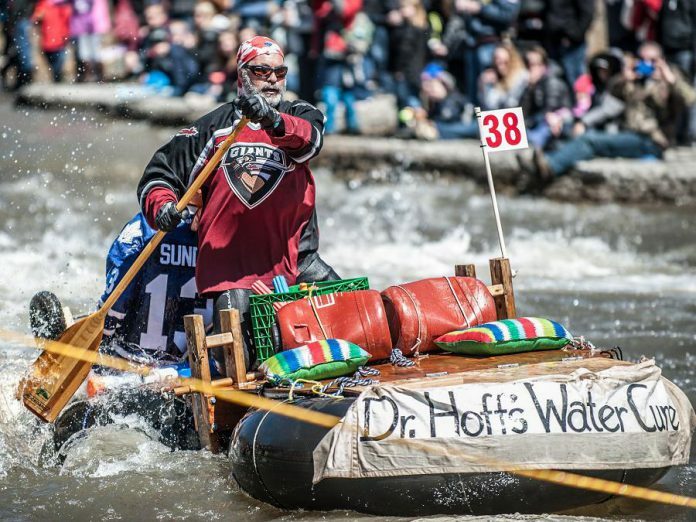 The Port Hope flood was forever recorded in the history books and the commemorative race has become a signature event for Port Hope. The Float Your Fanny Down the Ganny Executive Committee anticipates a good turnout for this weekend’s event. 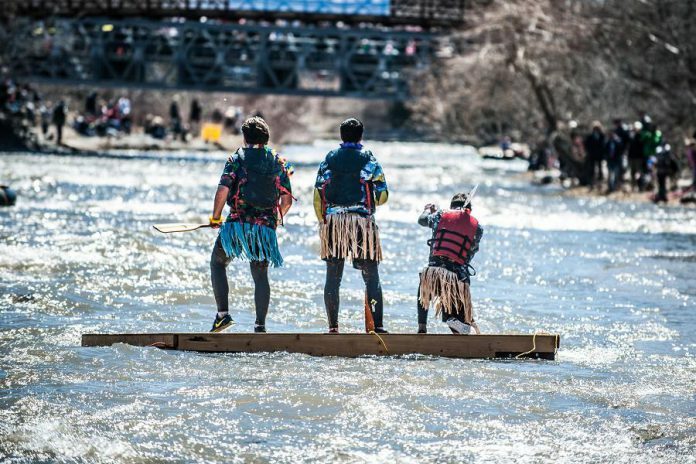 Spectators are encouraged to line the river banks and cheer on race participants during the exciting, action-packed event. It is recommended that you leave your four-legged family members at home due to all of the people and activity happening during the race. The finish line, located in the Cavan Street Park area at the river’s west bank, will be a hub of activity known as “Fannyville”. The event village will host food, drink, and merchant vendors, as well as children’s crafts and activities, a live commentary of the race results, and an awards presentation for race finalists. Race attendees will be treated to live on-stage entertainment. The village will open at 10 a.m. and awards presentations will begin at 1 p.m. The race is currently scheduled for this Saturday, April 13th. However, the weather will ultimately decide: if the weather is not good, or the river is deemed unsafe to race for any reason, there is an alternate date scheduled for Saturday, April 20th. As of the date of this story, the weather is looking good for Saturday, with a forecast of sunny skies and a high of 11°C. For the race, there are two courses. 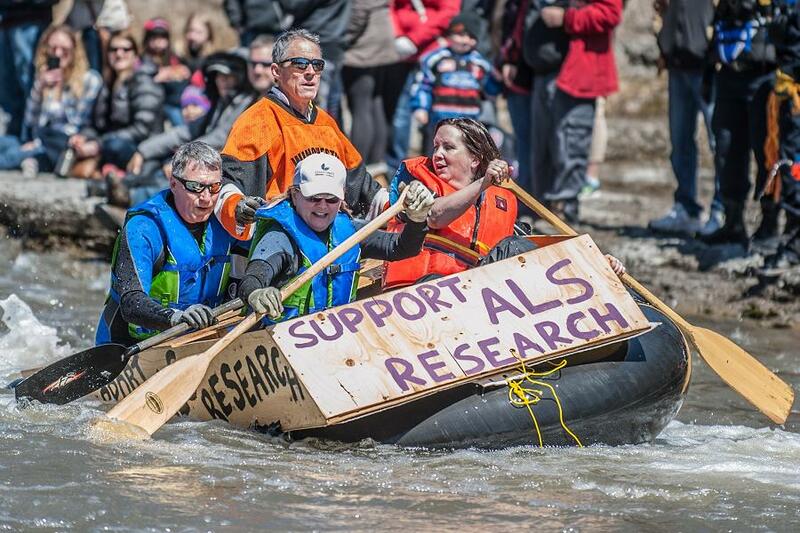 The kayak and canoe race is 14 kilometres, starting at 10 a.m. at the bridge in the Town of Canton and finishing by 11 a.m. at Fannyville in Port Hope. The “Crazy Craft” is 10 kilometres, beginning at 11 a.m. at the Sylvan Glen Conservation Area and finishing up at Fannyville around 12:30 p.m. The Ganaraska River is home to a variety of wildlife and fish, including rainbow trout and salmon. Every fall, the river sees a massive annual salmon migration where the fish travel up the river at the end of their life cycle to spawn in Port Hope. As a result of this important role in the life cycle of both Coho and Chinook salmon, the Ganaraska River’s fish and wildlife habitats are protected by government agencies. 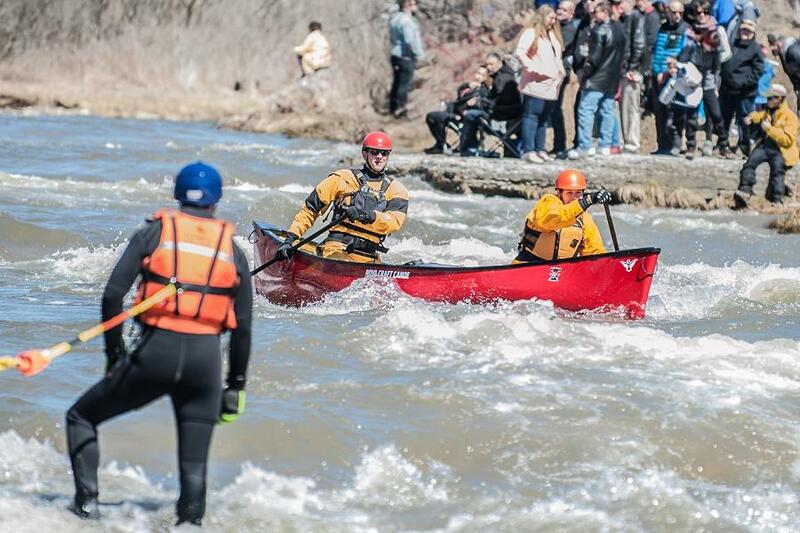 In preparation for this event, the Municipality of Port Hope and the race committee has obtained the support and approval of these agencies to ensure the safety of both fish and wildlife. The Ontario Ministry of Natural Resources and Forestry, the federal Department of Fisheries and Oceans, and the Ganaraska Region Conservation Authority have all reviewed and approved the plans for the race. In addition, members of the race committee and volunteer teams spend time after the race to ensure the river is returned to a state better than before they held the event. 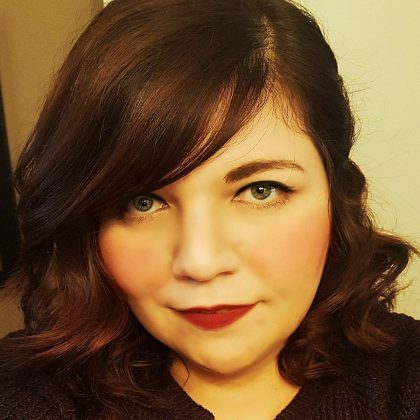 Now in its third year, the “Float Ur Funny” comedy festival is a local event organized by Sean Carthew of Ontario Street Theatre that runs concurrently with the race weekend. On now until April 14th, for just $10 a show, Port Hope has become home to its very own comedy festival. 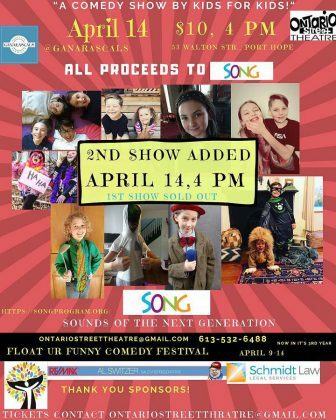 Demonstrating the “community spirit” noted by Mayor Sanderson, the Ganaraska Hotel at 30 Ontario Street is hosting a very special Float Ur Funny Comedy Festival event on Thursday, April 11th at 7 p.m.. The evening will be dedicated in support of a long-established local business owner who has recently been diagnosed with ALS. The fundraiser for Oliver “The Stache” Steins, owner of Ganaraska Art and Framing on Walton Street, will showcase 12 comics performing in a “joke or choke” competition. The audience will participate and decide how long a performer stays up on the stage; the longer they “joke” the more they get paid; if they “choke”, they’ll be booed off of the stage. In addition, Float Ur Funny Comedy Festival will present ‘Your Hood’s a Joke’ (13 comics roasting each other for laughs) at 8 p.m. on Friday, April 12th at the Ganaraska Hotel, and an all-out no-holds-barred show with eight comics at Ganarascals at 7 p.m. on Saturday, April 13th at Ganarascals (53 Walton St., Port Hope). In the spirit of the race, the comedy festival also aims to be family friendly. 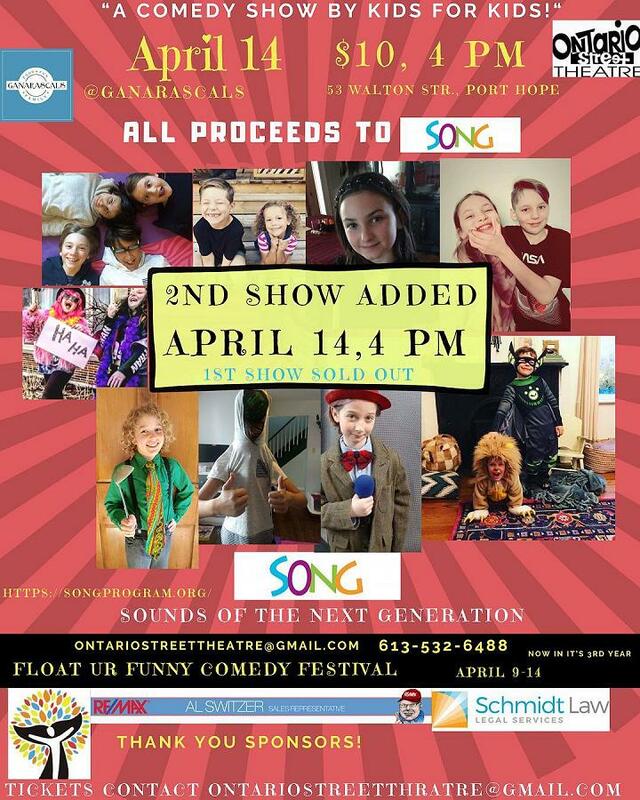 On Sunday, April 14th, Ontario Street Theatre and Ganarascals will host “Stand Up For Kids”, a children’s comedy show. The 2 p.m. show is sold out, so a second show has been added at 4 p.m.. Tickets are $10 each, with all proceeds going to a Song, Sounds of the Next Generation, a children’s charity focused on promoting musical education for kids. Carthew was inspired to create the annual comedy festival by the comedic element of race day. A few years ago, he was struck by how funny the madcap race is and decided to run a comedy fest parallel to the annual race weekend. Comedy isn’t the only way Port Hope locals are getting into the zany spirit of the race. Olympus Burger has traditionally always offered a little something special for both residents and visitors coming Port Hope for Float Your Fanny Down the Ganny. 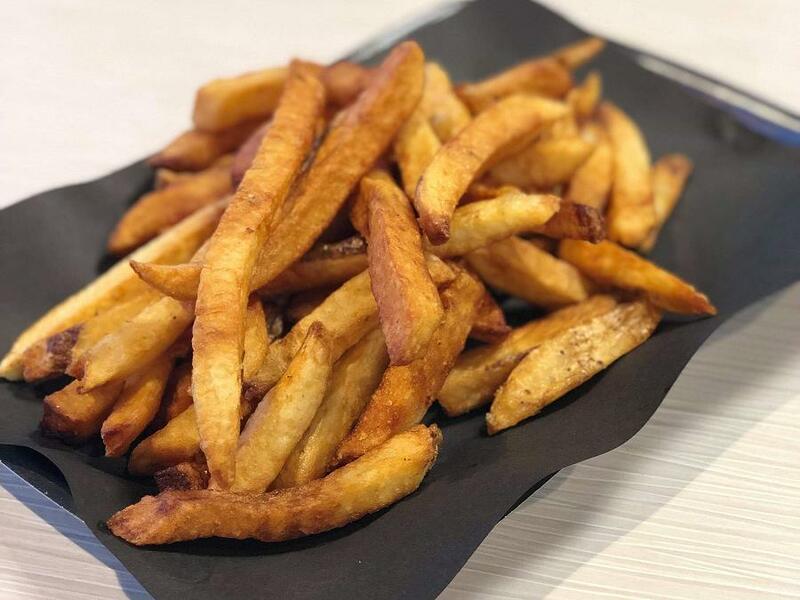 On race day this year, you can get an order of french fries at Olympus Burger for just $1 (with the purchase of any burger). Don’t miss out on “loonie fries” during this “loony race”. The restaurant is conveniently located close to the river at 55 Mill Street. Enjoy a meal at a restaurant that has received some serious accolades, including a feature on the Food Network’s You Gotta Eat Here and being voted as Canada’s Best Burger by readers of Canadian Living magazine. Interested in registering for race day? It’s not too late to get in on the action yourself! 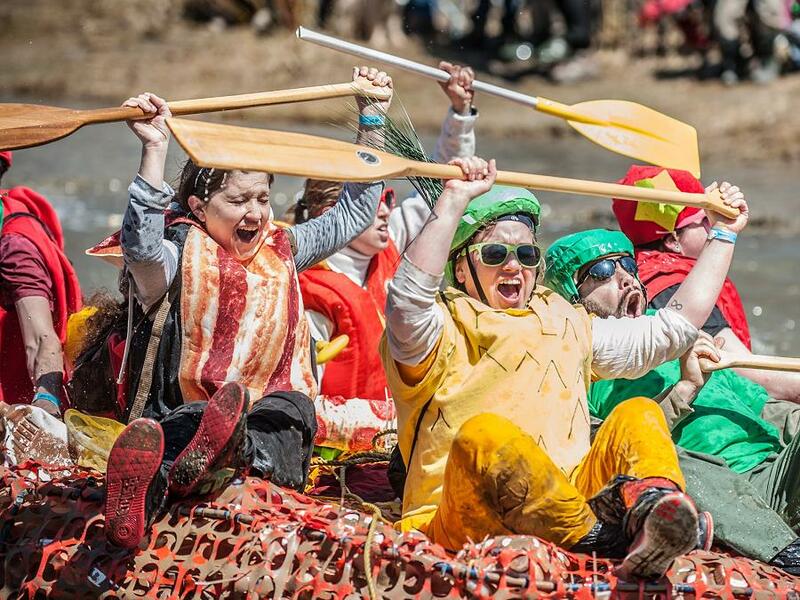 If you’re interested in dressing up in a zany costume and testing your skills navigating the Ganaraska River, grab your canoe, kayak, or crazy craft of choice. If you’d like to register online, you have until Friday, April 12th to get your fanny into the race. Visit www.floatyourfanny.ca for more information. Of course, you don’t have to participate in the race. You can just head to Port Hope this Saturday to watch the race, cheer on the competitors, and take in some of the related events in Port Hope, including horse-drawn wagon rides along Walton Street, a parking lot party at Local No90 at 90 Mill Street North ($5 adults, $2 youth, free for kids 5 and under), and a Crazy Cookie fundraiser for Oliver Steins at Dreamers Cafe at 2 Queen Street.